This leatherette photo album features gold accents on the cover. The album holds 204 4"x6" prints and is post bound allowing for the addition of unlimited refills. Photos are displayed 6 per page in optically clear pockets with a black mesh background. 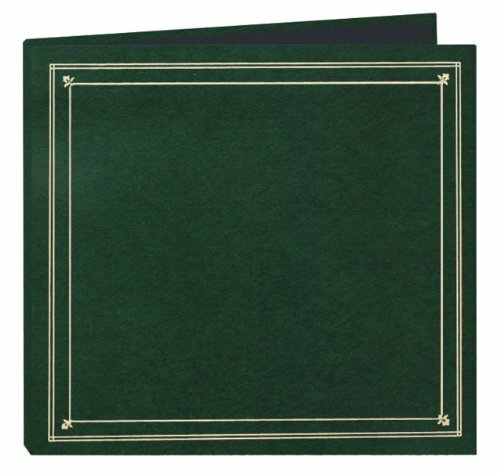 The album measures 14.25"x13.75"x1.25". Uses refill BSP. Photo safe: Acid, lignin and PVC free.